As Vinitaly, the world’s largest wine showcase prepares to ring in its silver anniversary, there seems to be a unique line-up of tastings and competitions planned for the occasion. The festivities officially kicked off at a press conference in Rome on March 16, where those producers who are themselves celebrating 50 years of exhibiting at Vinitaly, a group that includes more than 40 of Italy’s most historic wineries, were presented with certificates of commemoration. As Vinitaly, the world’s largest wine showcase prepares to ring in its silver anniversary, there seems to be a unique line-up of tastings and competitions planned for the occasion. The festivities officially kicked off at a press conference in Rome on March 16, where those producers who are themselves celebrating 50 years of exhibiting at Vinitaly, a group that includes more than 40 of Italy’s most historic wineries, were presented with certificates of commemoration. The celebration moves to Verona on April 1, with two innovative wine awards. 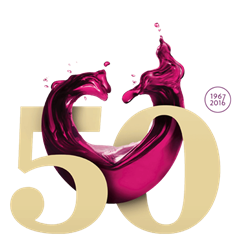 The Vinitaly 5 Star Wines award is the evolution of Vinitaly’s International Wine Competition, which began conferring medals to outstanding Italian and international wines 23 years ago. The competition will be managed by Stevie Kim, Managing Director of Vinitaly International along with Ian D’Agata, the Scientific Director of the Vinitaly International Academy (VIA), and judged by a panel of international wine experts, including Masters of Wine, Master Sommeliers, and many graduates of the VIA certification course in Italian wines. The second competition, Wine Without Walls, is Vinitaly’s first contest for natural wines, or those made with minimal additives or technological interventions. Chaired by American journalist and natural wine champion Alice Feiring, a panel of international specialists will assess the wines based on a series of qualities – including evolution in the glass and emotional impact – rather than assigning scores. The fair itself will run from April 10-13, and for the fifth year, will be preceded on April 9 by Opera Wine, a tasting of Italy’s 100 best wines as chosen by Wine Spectator magazine. In keeping with its musical theme, this year’s tasting will also feature special guest Sting, pouring “Sister Moon,” a biodynamic IGT Toscano Rosso produced on the English singer-songwriter’s Tuscan estate. In honor of the renowned “Father of Super Tuscans” himself, a tasting has also been planned in memory of Giacomo Tachis. The Italian wine revolutionary, who passed away this February at the age of 82, worked to develop may acclaimed Italian wines, including Sassicaia, Tignanello and Solaia, and is credited with helping bring the Italian wine industry into the 20th century. More than 150,000 visitors from around the world are expected to attend this year’s fair.